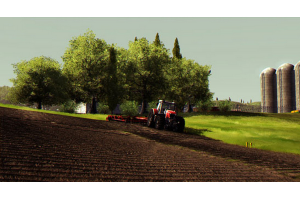 "A patch for the Agriculture Simulator 2013 game"
Elsewhere on Winportal we presented the latest sequel in the Agricultural Simulator series at the time of writing, namely Agricultural Simulator 2013, and here we present Agricultural Simulator Patch. In Agricultural Simulator you manage your farm, and that takes more than just planting some seeds. Besides the daily tasks, food production, sustainable resources, delivery of materials, the animals and the fields need to be taken care of. In this game, performing the aforementioned in combination with tactical investments and managing the bills will demand the utmost of your skills to make a profit. Now, with the Agricultural Simulator Patch you get an update for your this game that will fix some bugs and improve gameplay. So, if you enjoy farming and want to get the most out of this game, proceed to the download.